When I entered the wonderful world of blogging eight years ago, one of the first artists I connected with online was the talented Claudine Hellmuth. 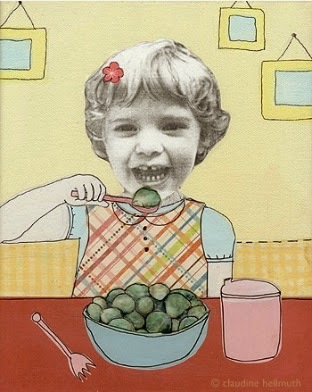 I have been a fan of her whimsical artwork & illustrations since first discovering her work. As noted on Claudine's website, she combines her drawings with happy patterns to create retro-whimsical artworks. Her unique work has been featured on Martha Stewart's show Martha, the Home Shopping Network, HGTV, and more. She has also published a number of creative books & DVDs, as well as her own line of craft supplies! Claudine started out creating unique paper dolls & artwork featuring photographs that were then illustrated to depict fun & funky scenes. As with most artists, Claudine's work has evolved over the years & she recently began offering custom-designed printables that can be downloaded instantly. The printable artwork is designed in such a way that you can cut them out & easily turn them into three dimensional gift card holders, gift boxes, party favor boxes & more! The best part is that you can create something totally unique without having to leave your home! I absolutely love the retro cassette tape gift card holder and the retro oven treat box is adorable! Another favorite of mine is the retro camper available in yellow, blue, green and pink. Each kit includes written instructions, as well as links to how-to videos with handy assembly tips & ideas making the creative process painless! SPECIAL OFFER: Enter code FUNKYFINDS to receive 10% off your entire order! ice cream truck, retro camper, and retro oven. TO ENTER: Leave a comment on this blog post noting one of your favorite items from Claudine's Etsy shop. ADDITIONAL ENTRY: Like Claudine on Facebook & leave a comment noting that you have done so. ADDITIONAL ENTRY: Subscribe to Claudine's newsletter, then leave a comment noting that you have done so. Subscribers receive FREE party printables and are the first to know when new items are added to her shop! ENDS: Giveaway ends at 6pm CDT, Tuesday, JULY 8th, 2014. I already have the awesome retro oven and would love the retro camper! I am a fan of Claudine's on facebook! 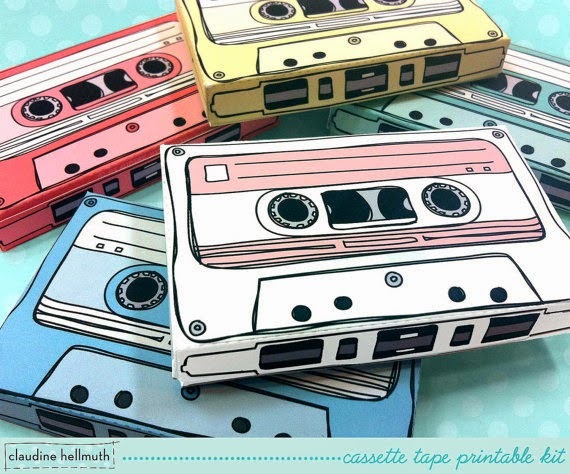 Ooh, I love the teacher's apples and the cassette tapes, but seriously would love to have the entire collection. It's all so wonderful!! I LOVE the Cassette Tapes, and the Halloween Tombstones are super cute, too! Birds ... and birds with party hats ... and what is not to love about the camper! Claudine's Etsy is darling! I can't believe I haven't visited it before now. Love her paper dolls and the little bird ornaments are so cute. I am a follower on Facebook. Thanks for the giveaway! I subscribed to Claudine's newsletter. Thanks for the giveaway! I just subscribed to Claudine's newsletter! I really like the ice cream truck! I like Claudine Hellmuth on facebook! I've also liked claudine on facebook - I'm lucki grrl! I also signed up for the newsletter - yay free printables!! I love all of them but my favorites are the green retro camper, the cassette tapes and the retro oven. I also love the apples. They all look so cute. I love the hot air balloons! I like Claudine's FB page as Suzanne Gregg. I subscribed to Claudine's newsletter. 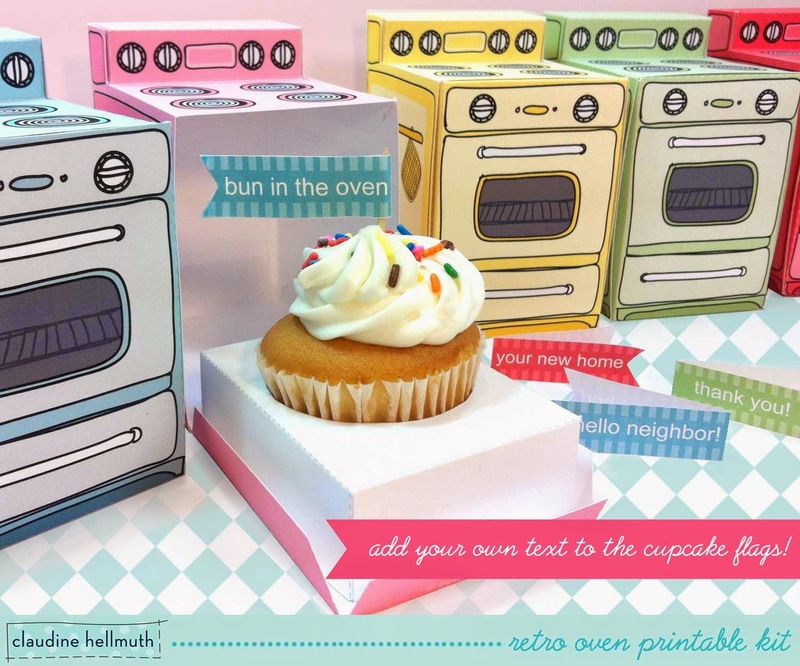 I think the cupcake candy box kit is pretty cute and I would use it often. are you kidding? each of your items are so adorable .. i like them all! my favorite is the trailer which seems so vintage that one can dream of vacationing in it! I am subscrited to your newsletter my usuary is takumi creaciones. I am a fan of claudine's on facebook my usuary is gemma nyan kazehaya. I love hot air balloon such a whimsical and functional design! I love the cupcake favor boxes.